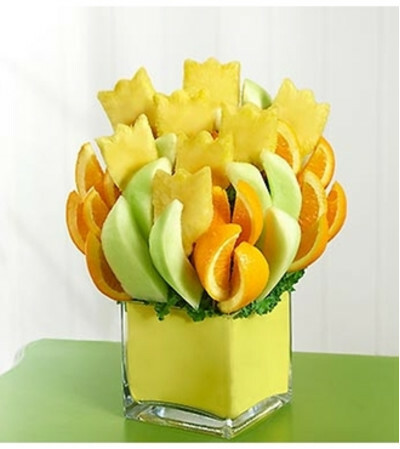 Fill every day with sunshine when you send our Sunny Day fruit bouquet. 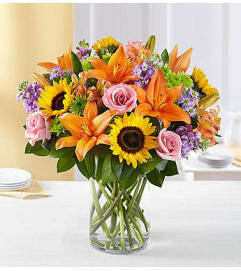 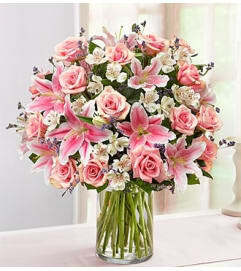 It’s the perfect gift on birthdays, anniversaries, or just to say "hi there." Tulip-shaped pineapple slices, honeydew wedges, orange wedges and more.